Boris Ljubicic designed a computer drawing made of straight lines where the line density distribution formed the word MUSEUM for the International Museum Day 2006. Here I will show another way of making this kind of graphics using Wolfram Language. 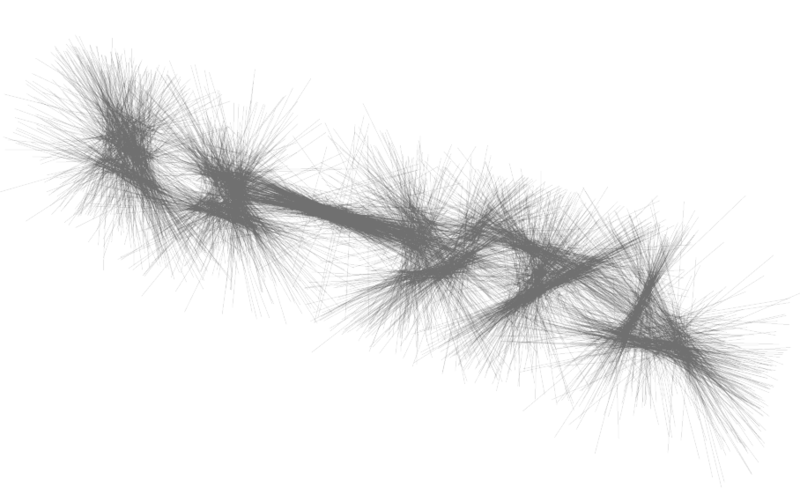 I was mainly motivated to explore the 3D versions of writing words with straight lines. The original discussion can be found here. The line effect produces interesting results with more angular symbols. Thank you for a great post. However it cannot work well in my Mathematica v11.3. So I changed it a bit. I changed Position to ImageValuePositions. I enjoyed it in Hiragana. Thanks for the very interesting code. When I run the code, I get an error message in "Getting coordinates for the letters". Do you know why? Thanks and look forward to your reply ! Look at Kotaro Okazaki's reply above. A change is needed for version 11.3. Thanks for your quick response. Yes, I missed the changes in MM11.3.